track click events, promote brands, and monitor link activity. 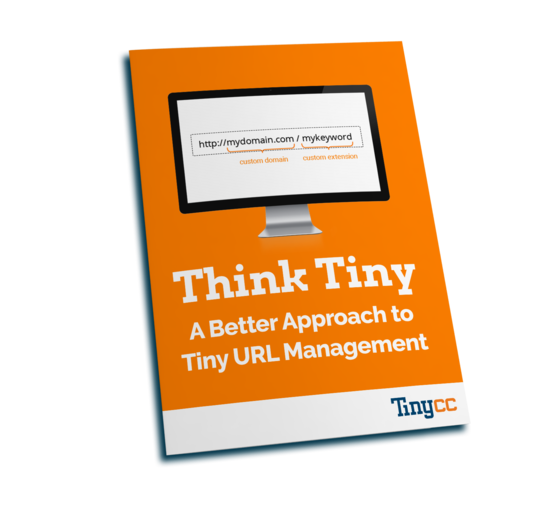 "Think Tiny: A Better Approach to Tiny URL Management"
© 2018 Tinycc. All rights reserved. So solid that one of our customers has short link numbers in the millions each month. Need high-volume link shortening with specific features? We’ll customize a plan for your unique situation. Pick and choose the features and billing terms you need. Yep, we go the extra distance to keep your data secure – from attacks and even from competitors. Firewalling prevents common web exploits. Only verified users are allowed to see your performance metrics. We maintain a strict permission policy on multi-user accounts. Tinycc technology is fast, accurate, reliable, and scalable. Take the next step and we’ll share surprising information every high-volume user of link shortening should know. Ever Wonder Why Popular URL Shorteners Generate Surprisingly Long Links? What's the point of using URL shortening if you end up with long links? Find out why this happens with other tools, and how Tinycc prevents this. For high-volume users of URL shortening, Tinycc delivers more features for less cost. Interested in getting a price quote? Simply click below and let us know in the message area of the form.